Many apps get data that they show from services. These services generally have their data cased a certain way. If you want to navigate to a page to show data, you may want to have the title of the page be information from the service. 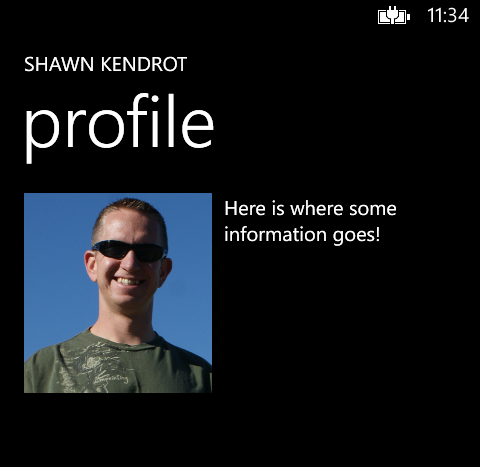 The title portion of the page tells the user that this is the profile for Shawn Kendrot. 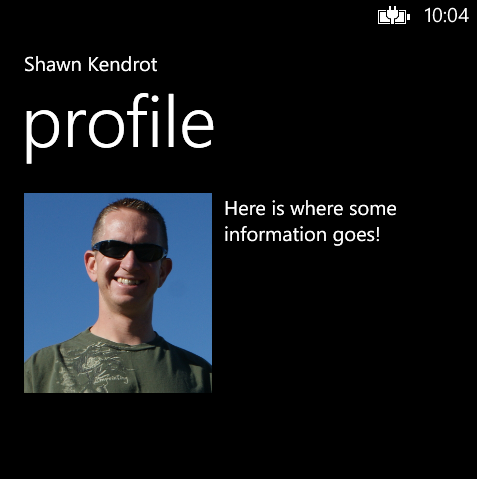 The text for “Shawn Kendrot” came from the service and is cased in Title Case. But if you wanted to follow design guidelines (which are not a requirement), you may want the name to be all upper case. To accomplish this you have three options, convert the text when you download it, create a value converter, or create a behavior. The first is really not an option, because that means that you can no longer use that text for anything else. Value converters are nice, easy to use, and sometimes overused. Behaviors are nice because they can easily be used within the designer of Blend. 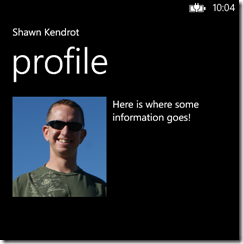 If you are not familiar with Blend, you should find time to use it. It is the tool to use when designing your apps. The other thing I like about behaviors is that you define when they should do work. The Behavior class has two methods that you can override that allow you to specify when you want the behavior to capitalize text. The OnAttached method fires when the AssociatedObject has been attached. It allows you to subscribe to any events of the associated object, or to make any changes that are needed. The OnDetached method fires when the AssociatedObject is being detached. It allows you to unsubscribe from any events that you subscribed to. We’ll subscribe to the Loaded and the LayoutUpdated event of the TextBlock. If you already have the data downloaded, you should only need the Loaded event. If you still need to get the data, the LayoutUpdated event let’s us know when the data comes in. When we have text in the TextBlock, we want to unsubscribe from the LayoutUpdated event so we stop getting updates (assuming we don’t need them any more) and to ensure we don’t leak memory through the event. Now, we can drag and drop the behavior within Blend onto the title TextBlock. And we end up with text that has been capitalized.